Halitosis, or bad breath, leaves an impression on those that you meet, but definitely not the right one. Whether you’re at work, going on a date, or just talking to a friend, having bad breath is a major distraction and makes it appear that you don’t care about your personal hygiene. The problem is that often we wander around for months or even years before finding out that we have problem breath. Nobody wants to confront their loved one and tell them that they smell bad and should do something about improving their oral hygiene, and therefore it can take a really long time to find out you’re a halitosis sufferer. The longer the problem is allowed to go on, the trickier it is to get rid of, so that doesn’t improve matters. Once you’ve been told that you have bad breath, you’ll no doubt be embarrassed, self-conscious and worried about what you can do to eliminate the problem – after all, nobody willingly walks around talking to people while knowing they have terrible breath. If you’ve recently discovered that your breath isn’t as fresh as it should be, you’ve probably already scoured the aisles of your local supermarket looking for something that’ll resolve the problem and ended up disappointed. That’s because most toothpastes are great at removing stains and fighting cavities, however they aren’t designed to eliminate halitosis. If you’ve tested all of the best toothpaste ranges for bad breath from the value brands to the most expensive and are still getting complaints from your girlfriend, it’s time to widen your net and look for a product that has been specifically designed to meet your individual needs. The good news is that there are a few solutions on the market today that will make sure you can socialise without worrying about breathing on those around you. There are a number of best toothpastes for bad breath available for purchase online that have been created with the needs of halitosis sufferers in mind. Containing all of the essential ingredients that are known to eliminate the bacteria and plaque that causes breath odours, these products are ideal for anyone who has breath problems and who is desperate for a convenient and easy to use solution. 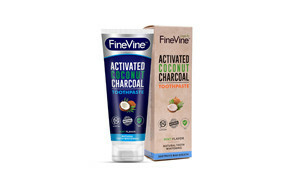 Giving you breath that is cool, minty and fresh, this FineVine charcoal toothpaste eliminates unpleasant breath odours thanks to its activated charcoal content. Boasting a refreshing minty flavour, this toothpaste keeps your mouth feeling fresh all through the day and removes all sorts of stains including tea, wine, coffee and tobacco. In one fell swoop, you can eradicate halitosis and get a whiter, brighter smile. Why pay to go to the hygienist when you can remineralise and polish your teeth in the comfort of your own bathroom. This toothpaste restores damage, improves gum health and fights against cavities without scratching, and since it is free from SLS and fluoride, it’s a safe solution. Since this toothpaste is also protected by a satisfaction guarantee, you can buy it in complete confidence that if it doesn’t meet your expectations you can get your money back. Be sure to combine this with an electric toothbrush from our list. When a brighter smile is just as important as getting rid of those unpleasant smells, Marvis whitening toothpaste is the perfect choice. With its cool, sharp minty flavour, it leaves a fresh taste in your mouth while whitening your teeth beautifully. Protecting your teeth just as effectively as it protects those around you from your bad breath problem, Marvis toothpaste prevents tooth decay, plaque and tartar, with a sorbitan and xylitol gentle formula which cleanses and conditions the gum and teeth without causing irritation. The Marvis toothpaste is free from parabens, fluoride and gluten and is also vegan and cruelty free making it an ethical choice too. CloSYS fluoride toothpaste contains a unique blend of ingredients which can kill the bacteria that prevents cavities and build up of plaque as well as neutralise the compounds that cause odours. 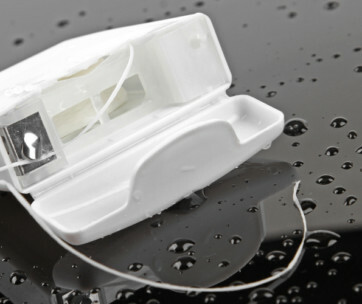 It even contains polishing agents which will whiten your teeth by removing tough stains yet without causing abrasion. It will protect your enamel as well as your investment in your expensive dental work. Free from sulphates and non-irritating, this anticavity, low abrasion formula is pH balanced to keep the mouth at the right level so as to limit germ growth. It contains no alcohol, no triclosan, and no gluten for a better choice all round. 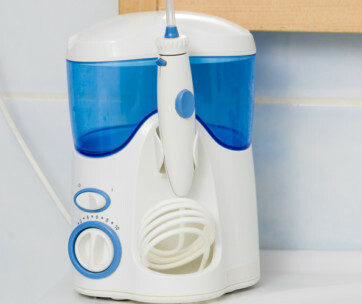 Be sure to also check out our list of the best water flossers for more great items like this. Leaving your teeth fresh and clean, Livionex dental gel is the perfect alternative to toothpaste, working 2.5 times more effectively at removing the plaque build up and cleaning your teeth than leading toothpastes. Made from effective, yet safe ingredients, Livionex contains no artificial sweeteners or sugars, abrasives or detergents and boasts a tasty peppermint flavour which helps to prevent bad breath. Free from gluten, Triclosan and SLS, it can be used by people of any age and is safe for use around animals, unlike xylitol containing toothpaste which is poisonous to dogs. Hyperbiotics toothpaste keeps your gums, teeth and immune system in tip top condition thanks to its quality ingredients. With none of the negative ingredients which can damage your health – such as preservatives, artificial flavours and colours, SLS, foaming agents, fluoride or Triclosan – this toothpaste whitens your teeth in a natural way with activated coconut charcoal, the best purifier in nature. Eliminating stains like tobacco, wine and coffee, this charcoal toothpaste balances the pH balance in the mouth to reduce the growth of bacteria and contains L. paracasei organic coconut oil as well as xylitol to boost the flora that promotes a healthier mouth. Natural and great-tasting, this toothpaste is safe for everyone to use and contains no sugar, making it a better choice for the whole family. If you are struggling with bad breath, make sure you also read our mouthwashes review. 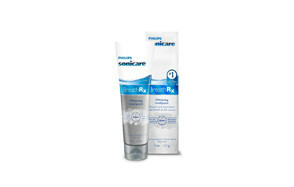 Made by well known toothcare brand, Philips Sonicare, this whitening toothpaste has an attractive blue colour, and is a purifying gel formula that works hard to combat bad breath. With its clean minty flavour, this toothpaste offers all the benefit of tartar control and fluoride as well as an improved whitening action to remove stains like coffee and wine. Effective in eliminating dental decay, this quality product contains a Zytex formula which neutralises bad breath to increase your confidence. Brilliant for anyone who wants to whiten their teeth without using a harsh or abrasive formula, this Activated Charcoal natural herbal toothpaste whitens gently over time, removing surface stains like those produced by tea, wine and coffee to make your teeth look brighter and more attractive. It won’t bleach your teeth using chemicals, so you can be confident that your mouth won’t be irritated when you use this toothpaste, making it ideal for anyone who has sensitive teeth. Gentle on tooth enamel, this whitening toothpaste builds healthier gums while promoting healthier teeth and is safe to use each and every day. 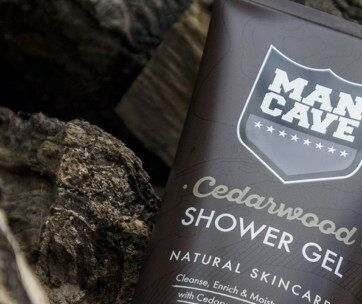 Containing activated coconut charcoal which is anti-fungal and anti-bacterial, this product also contains coconut oil that prevents the build-up of bacteria to reduce tooth decay and cavities. Free from fluoride and SLS, this all-natural toothpaste is suitable for all the family. In combination with dental floss, this toothpaste will make miracles for you. Q: What Causes Bad Breath (Halitosis)? Whenever you eat food, no matter whether it’s a healthy apple, a 3-course dinner or an unhealthy snack, it’ll start decaying over the course of the day, naturally. The problem with this is that the mouth represents just the kind of environment that bacteria really loves, and it doesn’t just grow in there, it thrives! So, when the food you’ve just eaten starts decaying, the bacteria that is naturally occurs already in your mouth multiplies exponentially, causing the foul odours that are making you so paranoid about breathing on other people around you. That bacteria, better known as plaque, then starts to coat your whole mouth – the tongue, the teeth and the gums - and your bad breath starts to spiral out of control leaving you suffering from a lack of confidence, and possibly, if it goes on enough, a lack of friends! If you’re going to eradicate your breath odour completely, you have to get rid of that plaque somehow, and one of the best things to get rid of it is a good quality toothpaste that has been specially designed to eradicate halitosis. If you don’t manage to get rid of all that plaque every day, over time it’ll start to harden and turn into tartar which can only be removed by your dentist or hygienist – not the most pleasant experience! That plaque and tartar begins to smell and that causes your problem to worsen increasingly over time. Diet – perhaps you’re trying out the Atkins diet, or another form of keto eating plan which involves limiting carbs to a very low level and eating more meat on a daily basis. One of the major side effects of this lifestyle is bad breath, as when the body runs low on carbohydrates it begins to burn fat and store sugar instead, causing the body to release ketones that cause breath odour. If your problem is being caused by your diet, you need to be aware that no amount of mouthwash, oral irrigation or toothpaste for bad breath, (even one that is created specially for eradicating bad breath) will resolve your problem in the long term. You’re betting off keeping some mints or chewing gum to hand as a remedy so that you can feel more confident when you go out and about. Smoking – ok, you already know that smoking isn’t the best thing for your health, and if you smoke, you’ll no doubt have heard your friends or family members moaning about your smoker’s breath. Bad breath in smokers is because of dry mouth, or, to give it a more scientific name, xerostomia. When you’re a smoker, you’re more susceptible to developing gum (periodontal) disease. If smoking is the source of your bad breath, you need to get a toothpaste which is designed to deal with xerostomia together with a mouth rinse that will keep your mouth properly hydrated. It goes without saying that the most effective way to get rid of smoker’s breath is to give up smoking completely, but that’s another story. Sickness – if you have a post nasal drip, or you’re suffering from coughing, you may find your breath is deteriorating. The only real solution is to become healthy again, but if you want to cover up that bad breath while you’re getting well, take some mints wherever you go, drink lots of fluids to stay hydrated and get plenty of rest to give yourself the best chance of recovery as quickly as possible. Incorrect brushing technique – you probably think you know how to brush your teeth properly, however a surprising number of people just pay attention to the front teeth – the ones that everyone sees when you smile – and just pay lip service to the teeth at the back of the mouth. You need to clean your tongue and gum line too as your mouth is full of microbes. Cleaning it thoroughly for a minimum of 2 minutes, twice per day, will help to guard against bad breath. Q: What Ingredients Should I Look For in a Toothpaste? A: When it comes to picking a toothpaste to get rid of your bad breath, you should be looking for some specific ingredients that are known to combat halitosis. Sodium fluoride is the key ingredient to look for on packaging as it can kill bad bacteria which develops into plaque in just a few seconds as soon as it makes contact. There are some other all-natural toothpaste ingredients that work well to protect against bad breath – Dead Sea salt, zinc, vegetable-based glycerine and essential oils can help to whiten the teeth, and, especially important for halitosis sufferers, can assist in keeping the gums healthy and clean. Dental Floss – classic dental floss may be uncomfortable and a hassle to use every day, but it plays a key role in removing the plaque on the teeth that brushing hasn’t managed to fully remove. Brilliant at getting decaying food from between the teeth, floss loosens up debris to you’re able to easily rinse the remaining gunk off. Water Flossing – flossing is messy and, let’s face it, a bit gross – especially if you can’t bear the sight of blood when you floss. A great way of cleaning your tongue and the areas between your teeth is to use a good quality water flosser. Working effectively as a tongue cleaner, a gum cleaner, a waterpick and a toothbrush device, these handy gadgets are easier to use than you’d think and do an amazing job at keeping your mouth completely healthy. Mouthwash – the final step in any sensible man’s tooth cleaning regime, a quick rinse with an antiseptic mouthwash will help to get rid of any plaque or debris that has somehow managed to avoid removal by the floss and the toothbrush. There are some very powerful brands out there, but they can burn or irritate your mouth, especially if it’s very sensitive, so using one of the options which are free from alcohol is probably the best choice. Tongue scraping – if you’ve ever seen a medieval torture device, you might be somewhat put off by the idea of using a tongue scraper – there is definitely something rather unpleasant about scraping some metal over your tongue to remove gunk and debris, however lets look at the benefits before we decide that a tongue scraper is definitely not the way to go.Yes, they may be off-putting at the first glance, but they are very effectively at getting rid of every bit of bacteria that has built up on your tongue. Even better, they’re not just effective, they’re super easy to clean. As all the best tongue scrapers are made out of metal, this reduces how much bacteria can grow on them, and they are simple to wash or disinfect, especially when compared to the plastic versions that are available. If you can’t quite stretch to a water flosser, tongue scrapers could be a great and affordable alternative and will help get rid of bad breath almost as effectively.